Immediate access to A Simple Start in Chalk Pastels year-long video art course with 45 lessons plus these video art courses: Get Started in Chalk Pastel Art, Preschool Video Art Lessons, Spring Video Art Lesson and Forest Nature Video Art Lessons (a $282 value)! A new video art course each month! A brand new art lesson each week! Nana’s Weekly Art Lesson – live or pre-recorded every week. Each month two art lessons will be for members only. Art Lesson Index – This index includes all lessons in our video art courses plus links to the free ones we have shared all over the web. Chalk Pastels at the Movies – all your favorite book and movie character art lessons at your fingertips. AND a coupon code for a video art course of your choice from our special membership library. You can use this at any time during your membership year! Since You ARE an Artist is instruction on how to use chalk pastels to create art, purchasing art supplies is a cinch! All you need is paper, a pencil, and chalk pastels! I also recommend a plastic table covering and baby wipes to make clean up a breeze. The most exciting part about the annual membership is the price… $200 per year! Considering the sets of lessons range in price from $25-$100, I would say $200 is a bargain! This works out to being less than $17 per month. You could never get in-house art lessons at that price! I usually schedule two chalk pastel lessons a week. The catalog of lessons is extensive, so I often choose lessons which fit with our current curriculum objectives. For example, if we’re studying birds in science, I’ll schedule a bird art lesson. 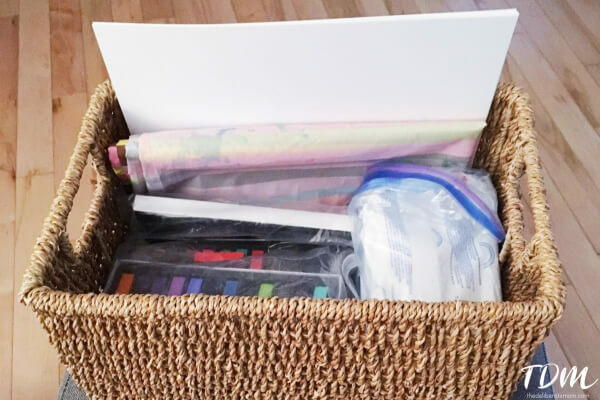 I keep all of our supplies in a basket (tablecloth, chalk pastels, pencils, paper, and baby wipes). This makes set-up quick and easy enough for my children to do on their own. I often connect my laptop to the TV so there’s a big screen to view the lesson, but I will also stream lessons through the iPad. The girls work on the lesson and will stop and start the lesson as they work on their masterpieces. When the lesson is done, we clean up the table and proudly showcase their work! As you can see, it’s easy to use the chalk pastel video art lessons. With the clubhouse library, you can incorporate art easily and freely into your homeschool days. 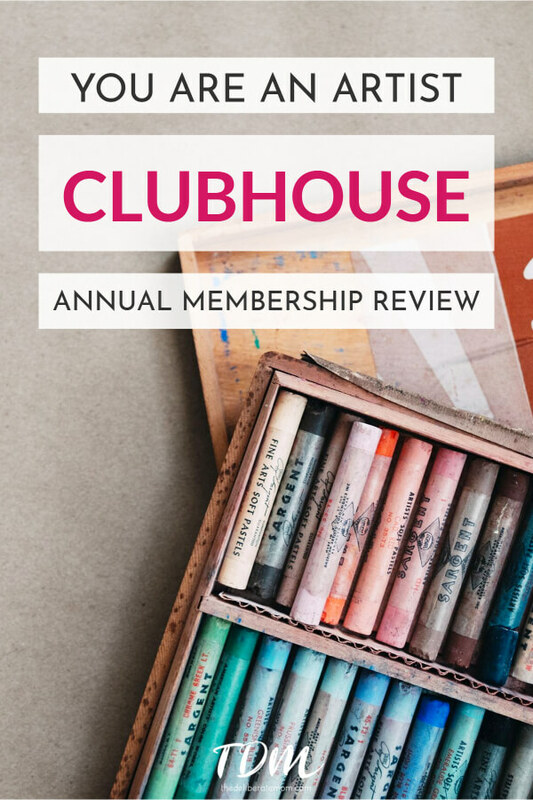 So if you’re intimidated by teaching art (like I was)… the You ARE an Artist Clubhouse Annual Membership could very well be the solution you were looking for! The clubhouse doors are open! Check it out! I’m sure you’ll fall in love… just like we did. Disclaimer: We were provided a complimentary membership for the purpose of this review. As noted at the top of this post, the links are affiliate links, which means if you click through and make a purchase, we may receive a commission. Our full disclosure policy is here.